EAP has uncovered a very rare colour film shot in 1967 containing aerial footage of the 'm.v. Mi Amigo' - Radio Caroline, 'm.v. Galaxy' - Radio London and the 'm.v. Laissez Faire' - Swinging Radio England/Britain Radio/Radio 227/Radio Dolfijn and Radio 355. We also visit the 'm.v. Mi Amigo' and see Tom Edwards, Robbie Dale, Johnnie Walker and many other Caroline personalities. Plus, on Radio London, Chuck Blair in the studio, Keith Skues, Ed Stewart, Pete Drummond, Paul Kaye and much more. 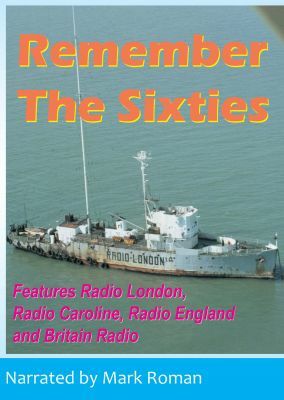 We've also added a fascinating sound track making this a great collectable video from the golden age of Offshore Radio.